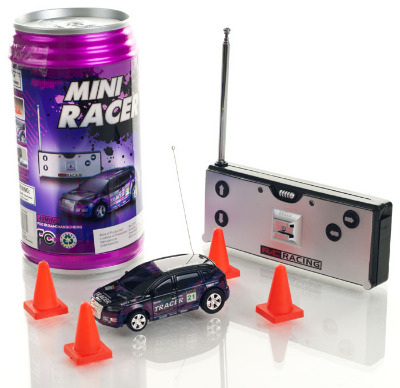 Mini Radio Controlled Car in a Can. Purple. Mini Radio Controlled Car in a Can. (The same frequency of cars will interfere with each other, please select different frequencies for racing.) If you are ordering more than one car, please select different frequencies from the shop categories listed. 4 - direction remote control - forward, reverse, left and right. Mini Radio Controlled Car in a Can. Green. Mini Radio Controlled Car in a Can. Blue.